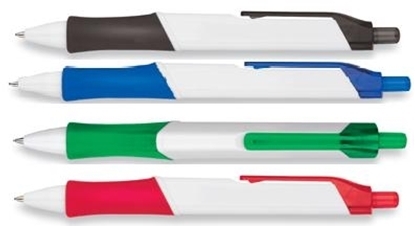 Improve your sales groove with the Paper Mate Groove! 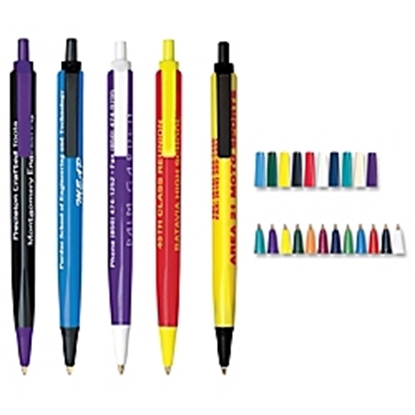 This trendy ball pen has imprint-friendly white barrels in six groovy trim colors that will take your sales up a notch. And at a price point that gets you in the groove, you can afford to take your message to the masses. 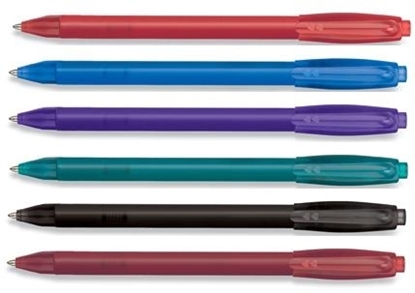 Choose style at a groovy price with the Paper Mate Groove! 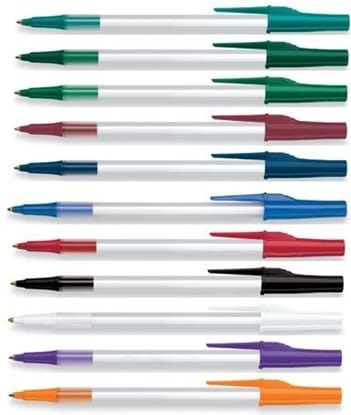 Chill out with Paper Mate's value-priced ball pen and experience sales growth that will make you shiver! Four vibrant translucent barrel colors with frosted white grips and two pearlized barrel colors with black grip and trim for comfort and style. Medium point, black Paper Mate ball pen ink and tungsten carbide ball for a smooth write. Multi-color imprint on barrel to maximize your message. Cool features add up to brisk sales when you choose the Paper Mate Chill. For a more traditional writing experience, look to our Note Writers pen! Made in the USA. 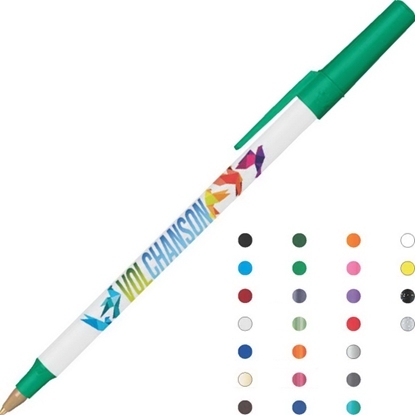 This pocket marker's flexible fiber point allows for fluid, distinctive writing with a fine line. 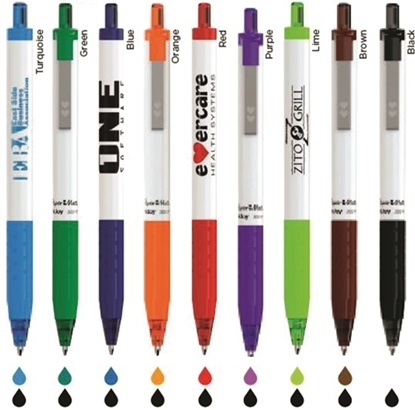 The Note Writer's water based inks are quick drying and non-fading. Meets or exceeds ASTM D-4236. Non-Toxic. Color of cap and barrel match color of writing ink. The Ava is a twist action, ballpoint. Classic pen and U.S.A. made. Tri stick is available with imprint on 3 sides. You can get 3 different imprints in 3 different colors!Over 100 possible color combinations with trim and barrel colors. If you choose to do more than 1 imprint color, please notate the other colors in the order comments. FREE set-up. 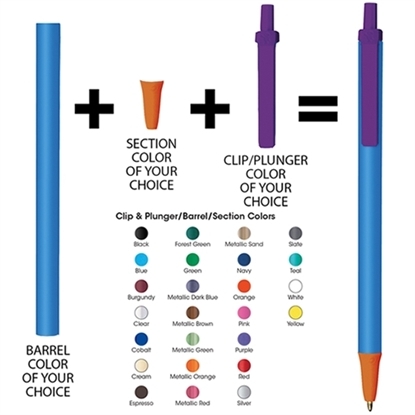 Colorful translucent barrel pen with matching solid clip and grip. Uniquely textured rubber grip and chrome-plated accents. The iconic BIC Boy is molded into metal rivets on both sides of the barrel. 1.2mm black ink ballpoint for bold lines. FREE set-up. Brightly colored barrels with black matte clip. Textured black rubber grip. Chrome-plated section. 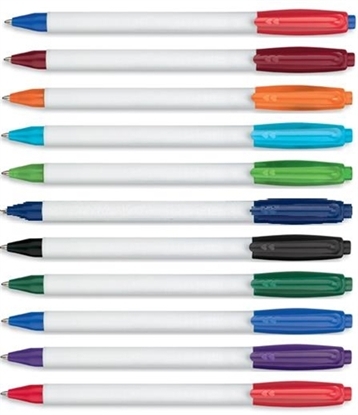 Set yourself apart with the colorful personality of the Paper Mate Visibility! 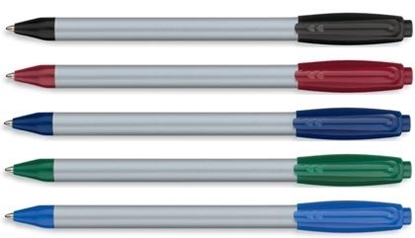 Choose from six vibrant translucent barrel colors to increase the visibility of your message. 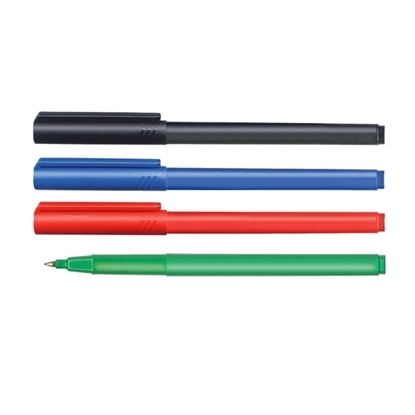 Show your true colors with the Paper Mate Visibility. It's colorful, comfortable and visibly cool. 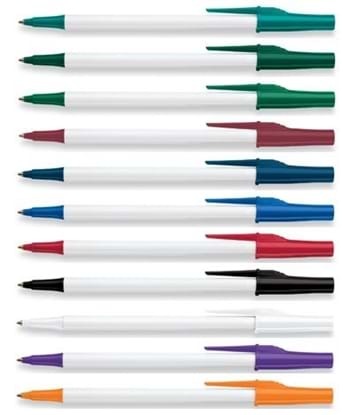 Paper Mate Tri-Edge 3-Sided Ball Pen gives you three times the impact. 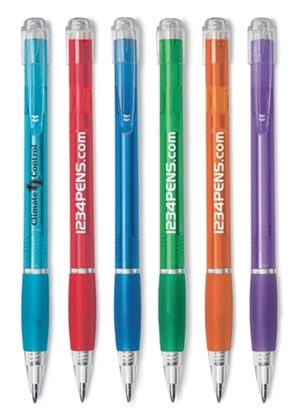 Triple your message awareness with a multi-color imprint on all three barrel sides and a one-color clip imprint. Repeat the same message on all 3 sides for impact or choose a different message for each location to communicate more. Imprint-friendly white barrels with four colorful triangular grips, trendy translucent barrels with four additional trim colors, and five frosted barrel colors to complement your logo. 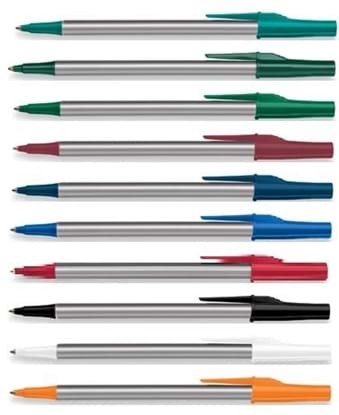 Mypromotionalpens.com offers the largest and best priced selection in Promotional Name Brand Pens. We will price compete and we won't be under sold. 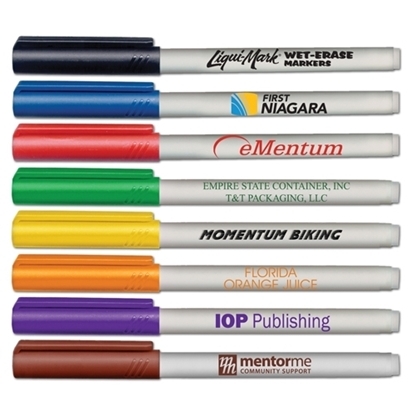 Let our graphic designers make your personalized Name Brand Pens standout above the crowd at no charge. 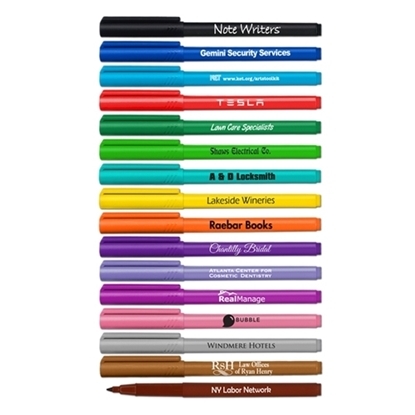 We won't stop until you are completely satisfied with your custom Name Brand Pens art proof.Use category search filters on your left to help narrow your search to find exactly what you are looking for.